Before writing about anything else this year, I wanted to first show you Cuba. It’s 12 hours away from home (something like that, by plane) but believe me when I tell you, worth every second. One word that I would use to describe it? Raw. Does that make any sense? Untouched – that’s another word for it. It’s a different kind of beauty. Quite different than, say, New Zealand or the Scottish Highlands. And also, there is this laid-back atmosphere I have yet to come across some place else. Food 🍴: Best if you’re not too picky because there’s a big chance of having rice and beans for dinner every single day. Pork is their main dish. But you will always, always, have a hearty portion of rice and black beans with your meal. Stay 🏠: One way of getting an authentic feel of the place is by staying with the locals. One of my best experiences so far is spending New year’s eve eating and drinking with the whole family. Staying in a Casa Particular instead of a hotel or resort is something I would definitely recommend. Drinks 🍸: There is a limited amount of soft drinks available. 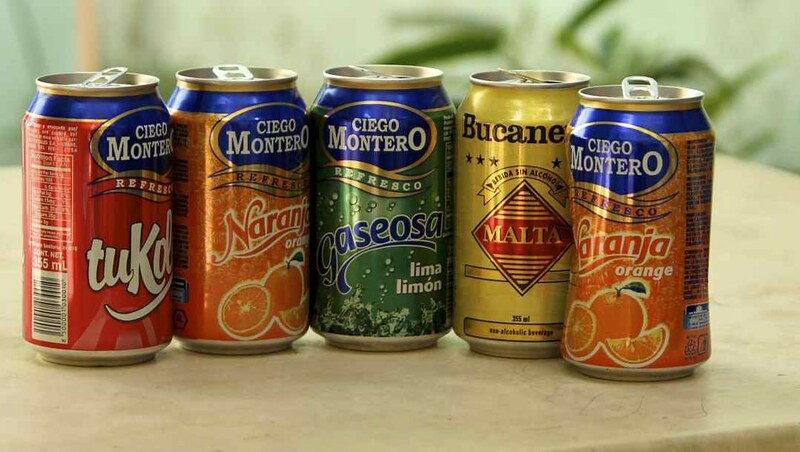 As for bottled water, Ciego Montero is the only brand that we came across everywhere we went (restaurants, casas and local stores). Like with everything else, choice is quite limited. For instance, ordering e.g. a local beer at a restaurant and being informed that it’s the last can, was quite a normal occurrence. But, that shouldn’t be disheartening! Why? Because their cocktails do not disappoint. I am not one to fuss but I can honestly say that so far nothing beats their Piña Coladas. 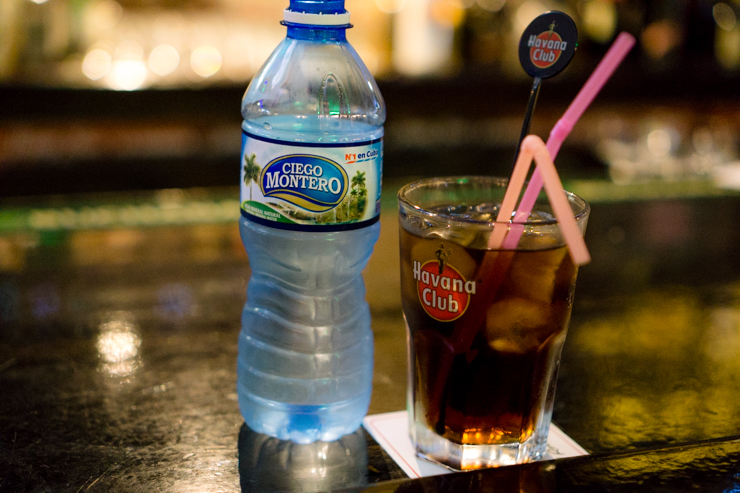 They serve it sans Rum and bring a bottle of Havana Club over so you can add as much as you want. We lived off Mojitos, Cuba libres and Piña Coladas practically for 10 days. There was one time in Viñales (during happy hour – some places do have it) where we got a cocktail for only 1.50 CUC (equivalent to EUR1.25). Usually the price varies from 3 to 5 CUC; depending from where you’re having it. Internet 🌐: Well, forget it. For starters, you’re on holiday 😄 and Instagram can wait. But really, Internet is not easily accessible. Forget WiFi access at bars, restaurants or even where you’re staying at. There isn’t any. On the plus side, it was quite refreshing to have actual conversations around the table without anyone staring at his or her phone. There are a couple of places from where you can buy WiFi cards but you can only have access in certain areas for a limited amount of time. You’ll know when you get there. Flocks of people will be sitting around in a given square, on their phones whilst others trying to sell off WiFi cards. Now, let the pictures speak for themselves. Looks quite like the Maltese tile, doesn’t it? It was supposed to be sunny. Varadero, Cuba. The sleeping man, laying down. Can you spot it? Fruity breakfast. It’s that and fried eggs. Coffee cups. Lots of them.